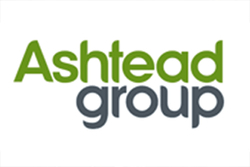 Ashtead Group is one of the world’s largest equipment rental firms with a network of more than 400 profit centres stretching across the US, UK and the Far East. Its business provides equipment such as excavators and forklift trucks as well as power saws and ladders. In the US Ashtead works under the Sunbelt Rentals banner, having expanded the business via the acquisition of Rentokil’s US operation. Ashtead have consistently increased their dividend for over 5 years, have high dividend cover and expectations of further dividend increases.